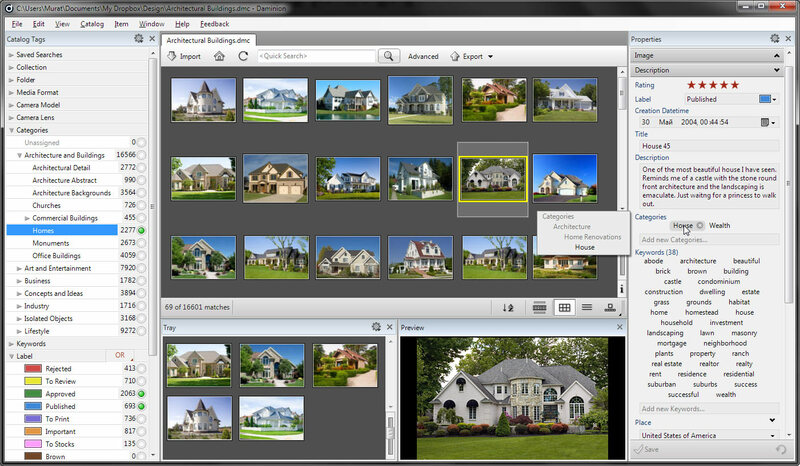 Daminion is a network based photo management solution for small teams. Multiple users can view, annotate, and edit your digital assets quickly and without risk of losing information; your digital library will be protected from irreparable damage, which is not the case when using a file-server based solution. I like it that Daminion has no photo editing capability. I have also tried about 40 DAM products and like Daminion the best. I discovered it when looking for a solution for cataloging pdf, movies and other ‘final product’ documents. Daminion is the only desktop solution I have found that comes even close to being useful.